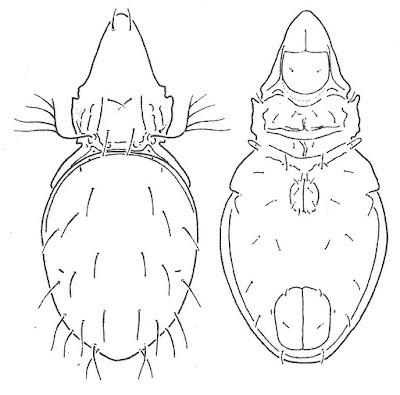 Dorsal (left) and ventral views of Multipulchroppia berndhauseri, from Balogh & Balogh (1992 vol. 2). 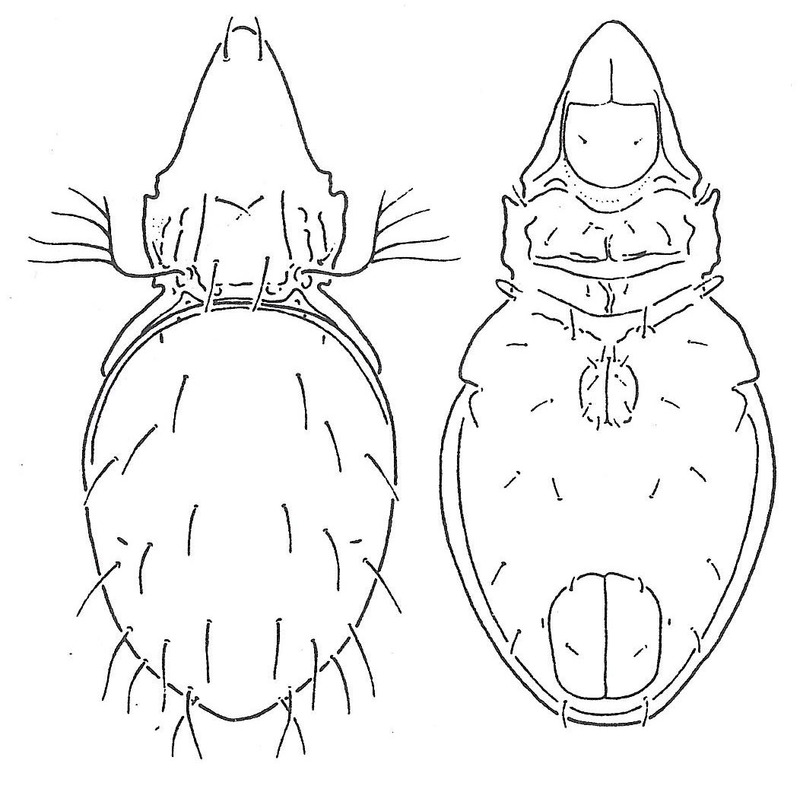 Multipulchroppia is a largely pantropical genus of oppiid oribatid mites. Characters (from Balogh & Balogh 1992): Sensillus pectinate. Notogaster with twelve pairs of setae; setae c2 absent. Epimeres III and IV long, reaching far posteriad of genital plates; apodemata IV absent. Genital plates with five pairs of setae. Fissure iad direct apoanal.